Ouya CEO Julie Uhrman says the assembly lines are buzzing, and the executive team has been joined by someone you may have heard of. Ouya, the Android-powered game console that made a huge splash on Kickstarter last year, is just about ready to go out the door. Founder and CEO Julie Uhrman wrote in an update today that the production lines are running, and that while the full launch is still scheduled for June, project backers will start seeing their hardware arrive sooner. "Tens of thousands of you will receive your Ouya, and you'll get to start playing right away," she wrote. "Keep a lookout in your inbox for an email from us. It will have your tracking number and estimated delivery date. Might take a few weeks to get to everyone. We have a lot of Ouyas to ship!" Uhrman also revealed that Kellee Santiago, co-founder of Journey studio Thatgamecompany, has joined the company as "Developer's Best Friend," a role from which she will lead developer relations. "Ouya gets it. This is the first console company that really understands how important it is to remove the barriers to development," Santiago said. 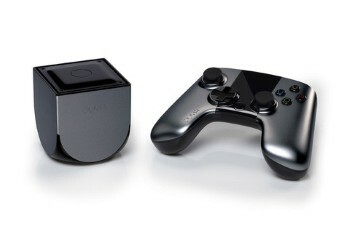 "By freeing up the development process, OUYA is opening up new doors in console gaming."